1. 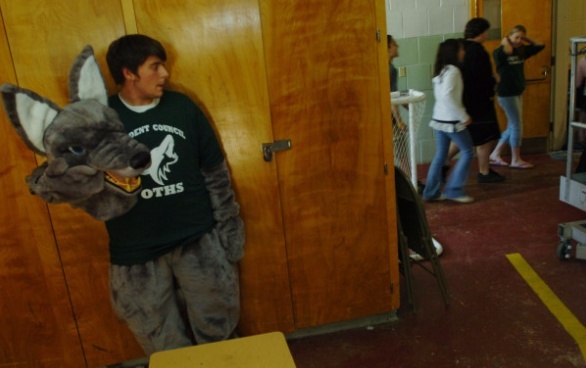 Maine’s four tribes have, in writing, asked Skowhegan Area High School, the sole school in the entire state employing a Native American nickname and mascot to, respectfully, please end its use of the name. The school board has refused. 2. Maine’s highest education officials — the commissioner of the Department of Education and the Maine State Board of Education — don’t seem to give a damn. We began by appealing to Education Commissioner Tom Desjardin to no avail. Ultimately, we made several overtures to Chairwoman Martha Harris and the nine members of the Maine State Board of Education. I appealed to each one individually and allowed them two months to respond with not one member responding. “Your comprehensive note to members of the State Board of Education has been received. As chair, allow me to respond on behalf of the board. The issue involving the Skowhegan mascot name has received considerable attention from the media. Our responsibilities are laid out in Maine statute. The State Board of Education does not play a role in matters such as this and is unable to participate in it. Maine is a local control state and as such mascot names have to be dealt with at the local level. When compared to other states, the Maine State Board of Education statement absolutely appears to abrogate responsibility in a miserably pathetic way. One could easily reach the conclusion this is what cowardice looks like. Here’s what some other state education bodies have done: In 2003, the Michigan State Board of Education issued a resolution stating it “supports and strongly recommends the elimination of American Indian mascots, nicknames … by all Michigan schools,” and the Minnesota state board adopted a similar resolution in 1988. More recently, in 2010, the Wisconsin Legislature passed a law that assigned local school boards “the burden of proving by clear and convincing evidence that the use of the nickname or team name in connection with the logo or mascot does not promote discrimination, pupil harassment, or stereotyping.” That state’s Department of Public Instruction had been directing schools since 1994 to drop their Native American mascots. Then there’s the Washington State Board of Education, which, on Sept. 26, 2012, unanimously passed a resolution to end the use of Native American mascots by its schools. The Oregon State Board of Education this year took what was probably the ultimate decisive action on the issue. In May, it issued a directive that bans the use of Native American mascots by the eight Oregon high schools that have not changed. It has given these schools until July 1, 2017, to make the change. In 2010, it was thought there were more than 30 schools in Maine that used Native American nicknames or mascots. In the years since, most have made the change on their own. Now, our campaign has brought us to its very last stop, Skowhegan. Harris’ statement is deeply troublesome. This is an important movement presently stonewalled by one rogue school system that is, arguably, violating the rights and the safety of its Native American students while embarrassing forward-thinking faculty, staff, students and community members. And all Harris has to say is that it is a “local control” matter? If it is this board’s intention to demonstrate to its two student members how adults best look away, this kind of bureaucratic mumbo-jumbo certainly gets the job done. I refuse to believe that this board can’t issue the simplest of resolutions “encouraging change” or “expressing disappointment” or maybe even featuring more forceful language to show our highest education officials are not pleased over Skowhegan’s failure to do what 30 other schools and communities throughout Maine have already done. So, we continue our fight in Skowhegan, working with those public officials who support our cause while also looking into possible discrimination cases and possible hate crimes cases. Meanwhile, the failure of the commissioner of education and the Maine State Board of Education to support our campaign is sorrowful and unforgivable.